The above video comes from one of Soundfly’s flagship free courses, Touring on a Shoestring — a collection of videos, downloadable resources, and creative prompts that will help you book, manage, and promote better tours for you and your band. Check out the course today and get on the road quicker! In addition to being an essential part of building a meaningful career in music, touring can be loads of fun for bands. It can be an exceptional way to see the world, since as an artist you get to interact on a deep level with people living in the cities you visit, as opposed to simply traveling there and seeing those cities through the windows of your hotel rooms and cabs. But what a lot of bands have a hard time figuring out, at least at first, is that touring isn’t about trying to “go everywhere” — it’s about going to the places that matter. Now, that sounds like I’m saying, “Don’t go to certain cities ever!” But it’s not that at all. Part of the process of leveling your tours up to a point where they’re successful is acknowledging the role each city stop plays for your audience-building activities. So you should always be asking yourself questions like: Do we have fans in this city or is this a place to try to build our fanbase? Should we drive through that region or fly somewhere else at this point? Is this string of shows too heavy on college towns and younger audiences? Are there places around here where we can stop to do a radio interview to publicize other events in the area? What I’m getting at is that putting some focused thought and planning into the way you route your tour is one of the best ways to ensure that your shows will be successful — and if they’re not, at least you won’t be throwing money away on extra gas. So here are a few tips to help you out, and be sure to check out the free course for more. 1. Write down a list of goals for your tour. If your band ventures out on tour without having set goals beforehand, you’re probably not going to have much success. And at the very least, it will be difficult to measure any success you do achieve! Goals like promoting a new album or building your presence up in a certain region of the country, and even further establishing your presence in an area where you know you have some solid fans, are essential in determining an optimized tour route. Long before you start planning routes and contacting venues, your band should be having conversations about what you hope to realistically accomplish on your upcoming tour. This also means taking an accurate stock of your resources and planning accordingly. Nail this part down and the routing part will be easy. 2. Create a route that takes potential earnings and distance between shows into account. A band from Omaha is going to need to approach touring much differently than one from a coastal city. Unfortunately, off the coast, musicians are going to find longer distances between unique live music markets. But that doesn’t mean landlocked artists shouldn’t hit the road; it just might affect how you organize runs of shows, from long weekends in clusters, to a full, lengthy circular route without any breaks. The number of shows you play on a tour run, as well as the distance between cities or gigs (and what you do in between), are all important things to consider. You can use websites like gasbuddy.com to estimate what it’ll cost for you to drive from show to show. And the key to not losing your shirt on the road is to get an idea of how much you need to be earning at every show in order to at least break even. These financial margins will change depending on a lot of factors, so don’t sweat it too much. Once again, it’s just really helpful in terms of being able to develop adequate goals and metrics for success. But in almost every scenario, you should try your best to keep the driving distances short between gigs. That means if you’re clustering around the Eastern seaboard, maybe save Miami, Denver, and Phoenix for another tour. 3. Route your first round of bookings around the cities that are listening to your music the most. This seems like obvious advice, but lots of newer bands don’t always route tours based around their “anchor cities.” This is super important. Wherever you know you can guarantee some solid paying showgoers, that’s where you should plot your weekend dates. And because weekend dates get snatched up farther in advance, do those first. You have to gamble a bit, since you’re leveraging the possibility of making enough money on those shows to carry you through some potential early-week snoozers. You should be using the analytic tools from Spotify, Bandcamp, or SoundCloud to see what cities are listening to your music the most, and then book accordingly. Playing in those cities will give you the best chance at bringing people to your shows and getting featured on local blogs, press, and playlists. Then circle out to nearby cities and college towns where you have less of a network or fan presence. The smaller shows between your main touring destinations can definitely help you earn money and fans, but you’ll need to focus on building relationships in bigger music markets if you’re hoping to get the most out of touring. Unless your band is already experiencing a decent amount of national exposure, not every city is going to be worth playing. But every destination can be an opportunity to advance your project forward if you know what your ultimate goals are. Explore Soundfly’s wide array of free online courses and expand your musical skills over your lunch break! 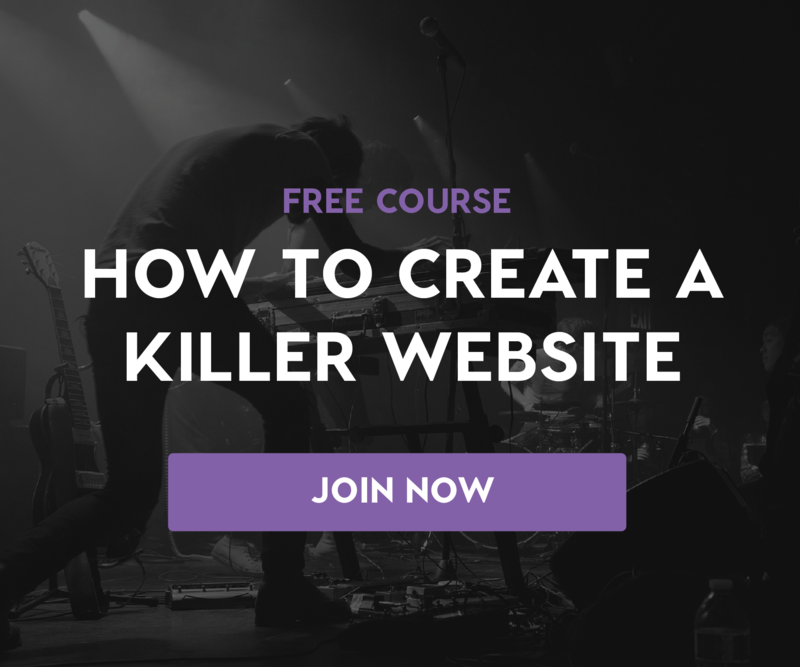 Here’s just a few free courses you can choose from: Touring on a Shoestring, How to Create a Killer Musician Website, Theory for Bedroom Producers, and Live Clicks and Backing Tracks.